I received this book from the publisher/author for an honest review as part of a blog tour. In this stunning thrill ride, perfect for fans of Dan Brown and Steve Berry, a long-lost manuscript, written for Elizabeth I, holds the key to unlocking the past and to eliminating the future. Lee Nicholson is ready to take the academic world by storm, having discovered a sonnet she believes was written by William Shakespeare. When she reads the poem on the air, the words put her life in peril and trigger a violent chase, with stakes that reach far beyond the cloistered walls of academia. Buried in the language of the sonnet, in its allusions and wordplay, are secrets that have been hidden since Elizabethan times, secrets known only to the queen and her trusted doctor, but guessed at by men who seek the crown and others who seek the world. If the riddles are solved, it could explode what the world knows of the great Elizabeth I. And it could release a pandemic more deadly than the world has ever imagined. Lee’s quest for the answers buried in the sonnet keeps her one step ahead of an international hunt from the police who want her for murder, to a group of men who will stop at nothing to end her quest, to a madman who pursues the answers for destructive reasons of his own. As this intelligent thriller moves back and forth between Tudor England and the present day, Lee begins to piece together the meaning behind Shakespeare’s words, carrying the story to its gasp-out-loud conclusion. A wild ride through history and mystery. I wasn’t sure what I was getting into when I picked up this book. I don’t read a lot of thrillers, but every once in a while I try another one. I’m so glad I did. I love historical, and I love a historical mystery. So, I thought, let’s try this. It’s a dual timeline novel, blending Lee’s contemporary story with that of Elizabeth I’s royal physician Rufus Hatton. I loved the blend of history and contemporary. It reminded me a bit of Kate Morton’s formula, which I love, but was way more action-packed than her books. The Semper Sonnet made me want to discover Elizabethan history. Seth Margolis tells a complex story that neatly ties together. 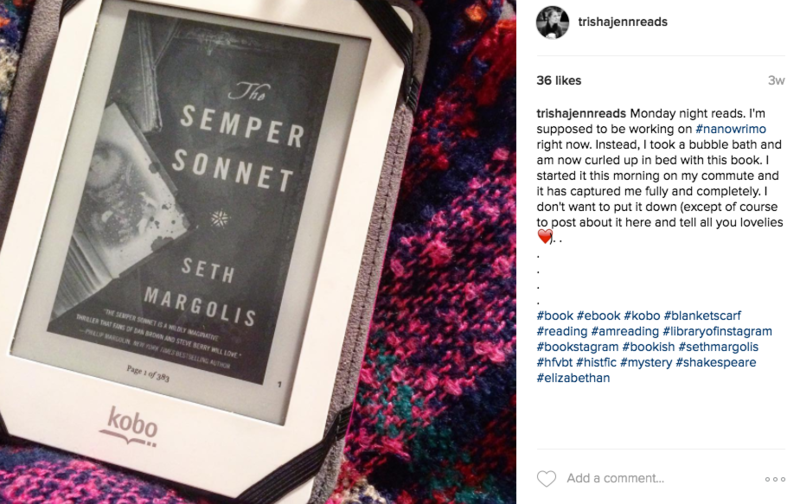 The Semper Sonnet is a well-paced story full of twists and turns and unbelievable but perfect surprises. I was constantly surprised and entertained by the developments in Lee’s quest to uncover the truth and prove her innocence. The whole plot felt, somehow, possible and impossible at the same time. Does that make any sense? Basically, I’m trying to say that the author was incredibly creative with his plot, and it worked. To give you a bunch of one-word reviews: intriguing, intense, fun and entertaining. 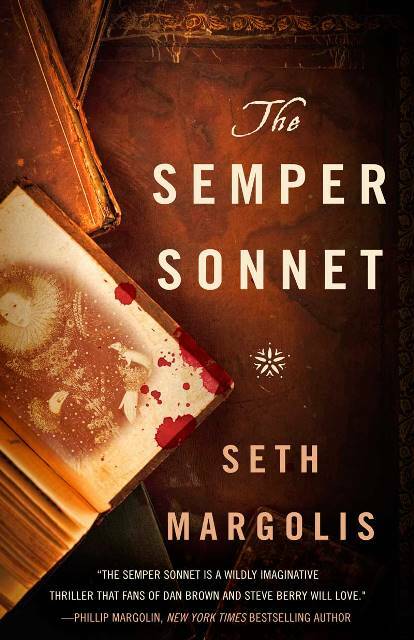 Seth Margolis is a writer whose most recent novel, The Semper Sonnet, was published on April 19. He is the author of six earlier novels, including Losing Isaiah, which was made into a film starring Halle Berry and Jessica Lange. Seth lives with his wife, Carole, in New York City. They have two grown children, Maggie and Jack. Seth received a BA in English from the University of Rochester and an MBA in marketing from New York University’s Stern School of Business Administration. When not writing fiction, he is a branding consultant for a wide range of companies, primarily in the financial services, technology and pharmaceutical industries. 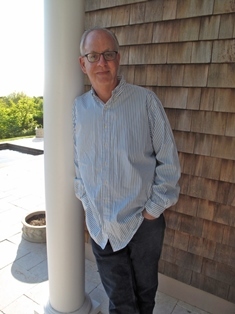 He has written articles for the New York Times and other publications on travel and entertainment. For more information, please visit Seth Margolis’ website. You can also find him on Facebook, Twitter, and Goodreads. Oh, this one sounds really good! It is!! If you like mysteries and historical, it’s a great mix.